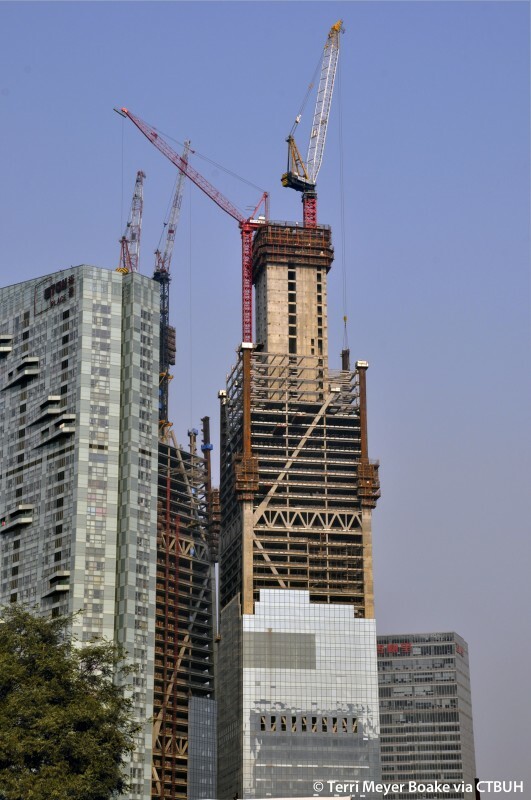 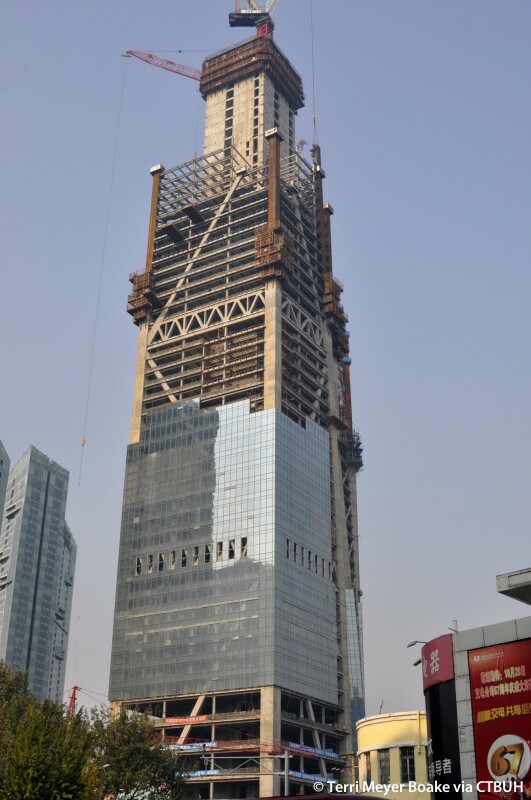 Main Contractor China Construction Eighth Engineering Division;	China Construction Second Engineering Bureau Ltd.
• Elevator	 KONE;	Sematic S.r.l. 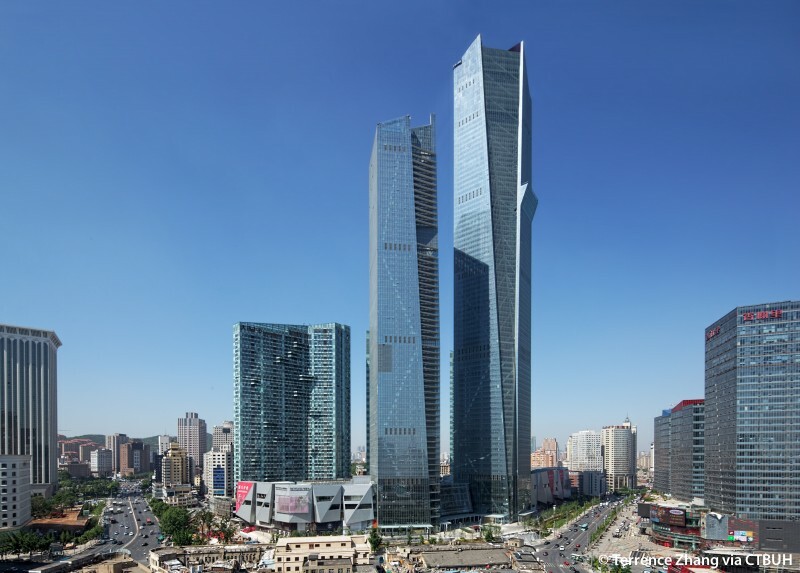 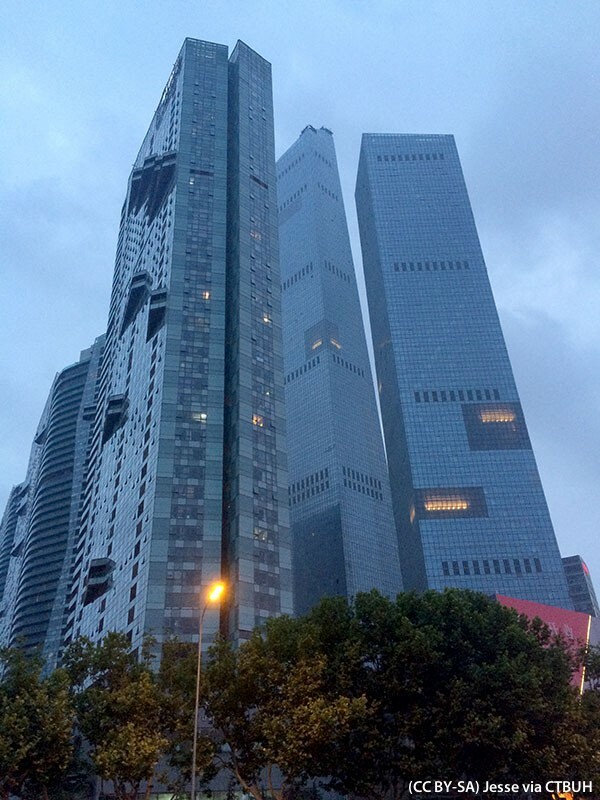 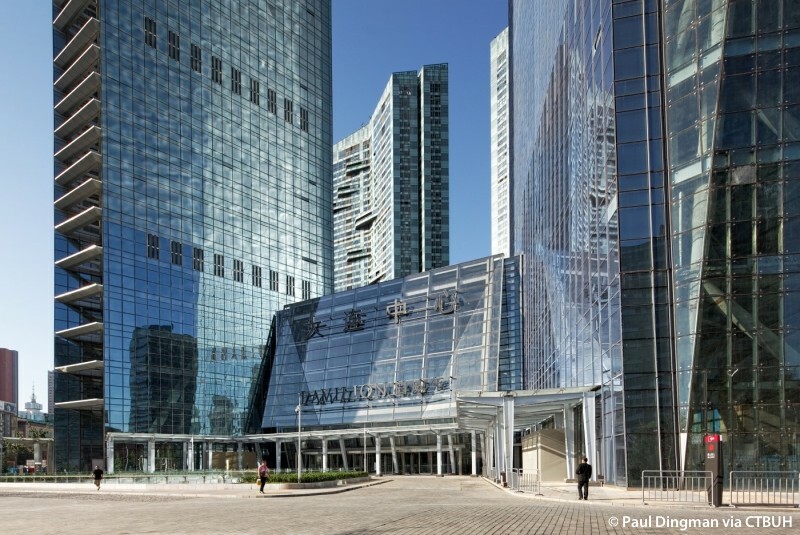 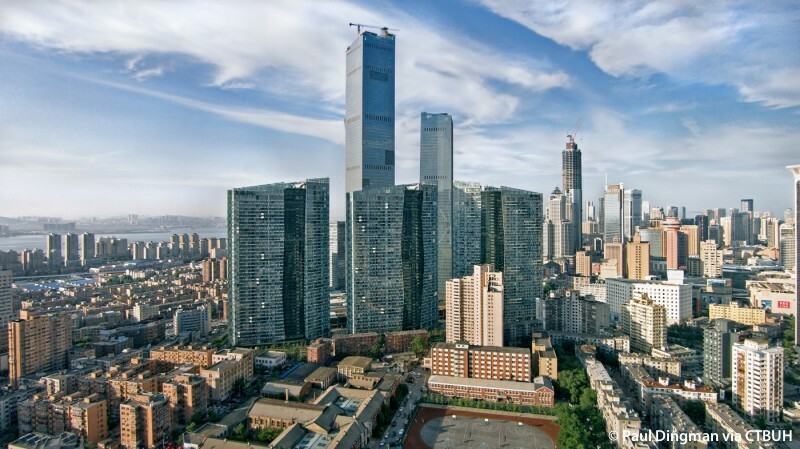 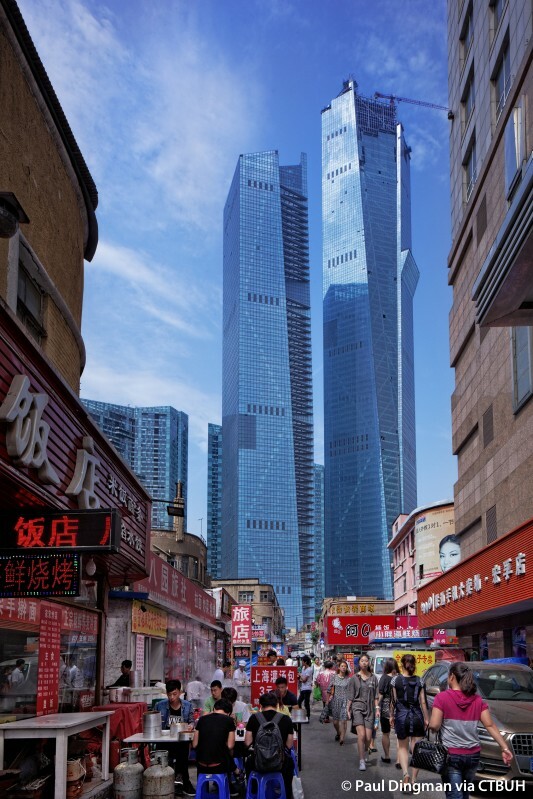 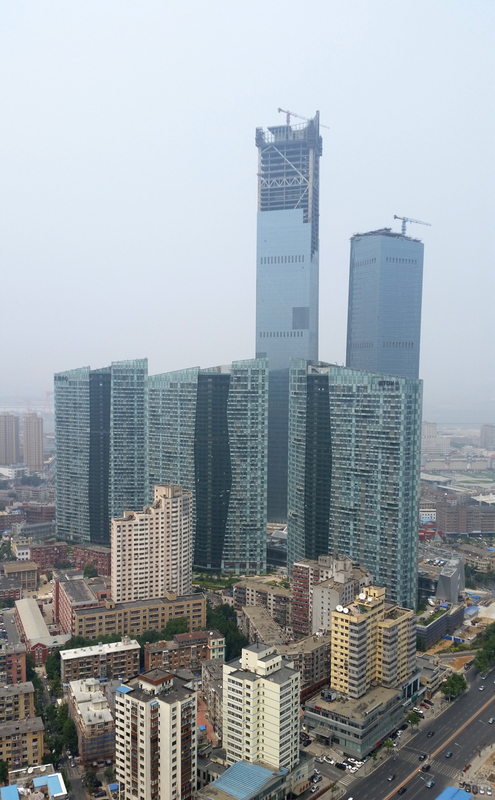 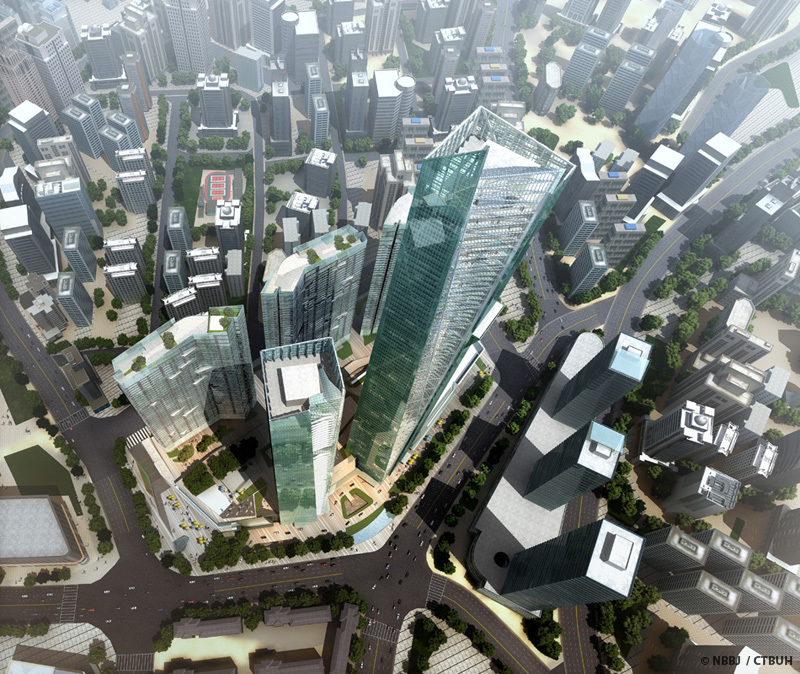 At its heart, Eton Place Dalian Tower 1, also known as Supertower One, functions as the central unifying element of the Eton Place complex, which itself is designed to operate as the focal point of Dalian’s fast-expanding central business district (CBD). 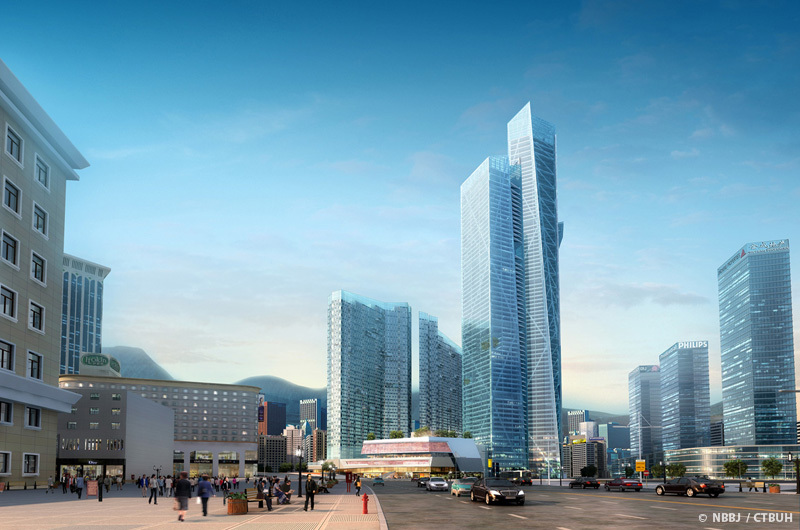 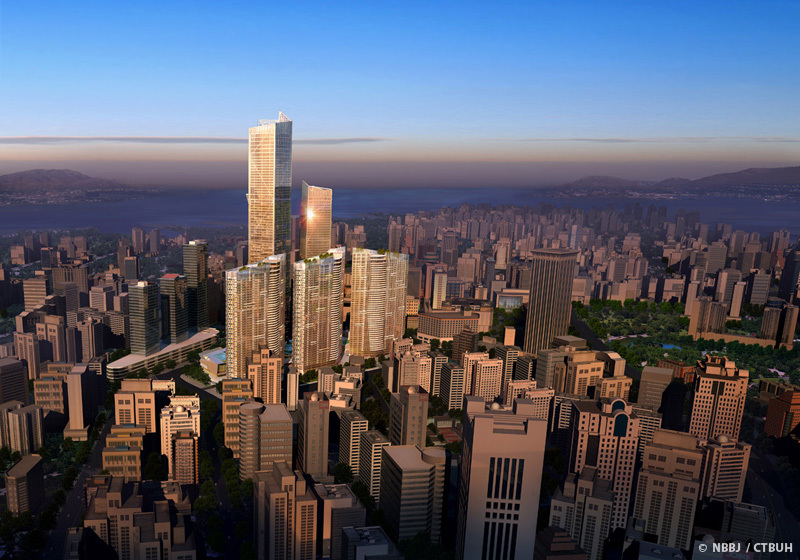 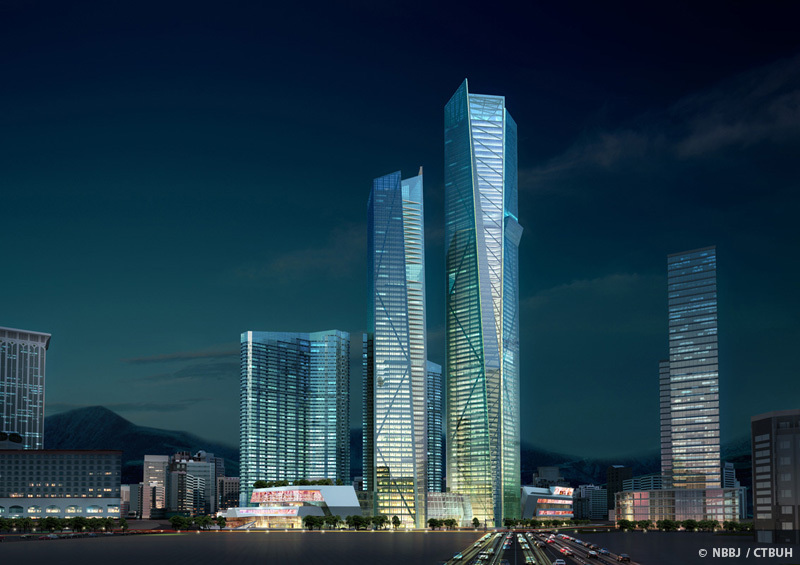 Located on the western edge of the CBD, the tower will offer breathtaking views of the surrounding area, including the city skyline, the harbor port at Dalian Bay, and a nearby mountain range. 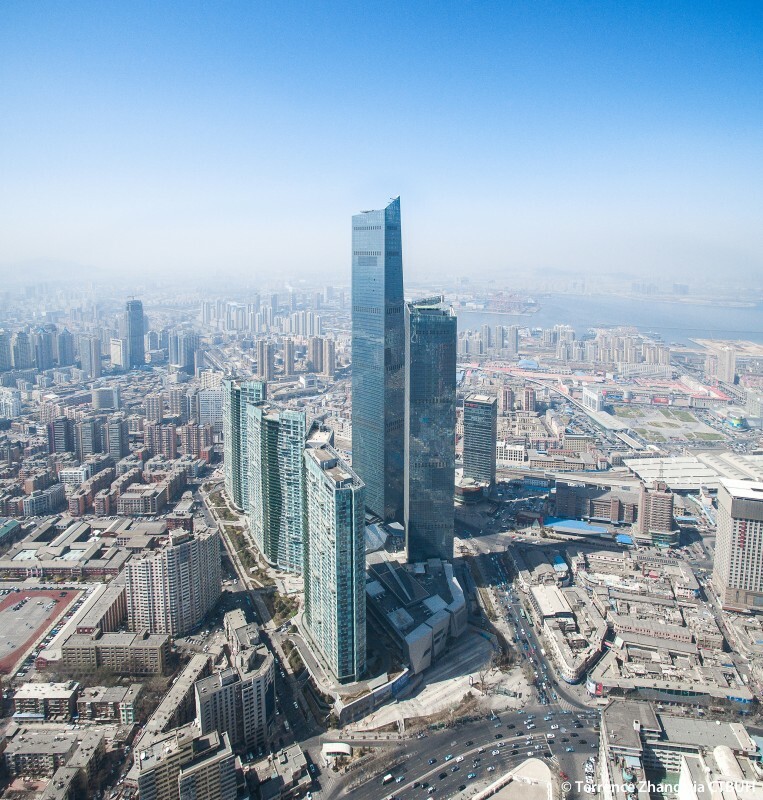 It is well integrated into the surrounding city, as it is placed on a major thoroughfare running from the airport to the central Dalian Station. 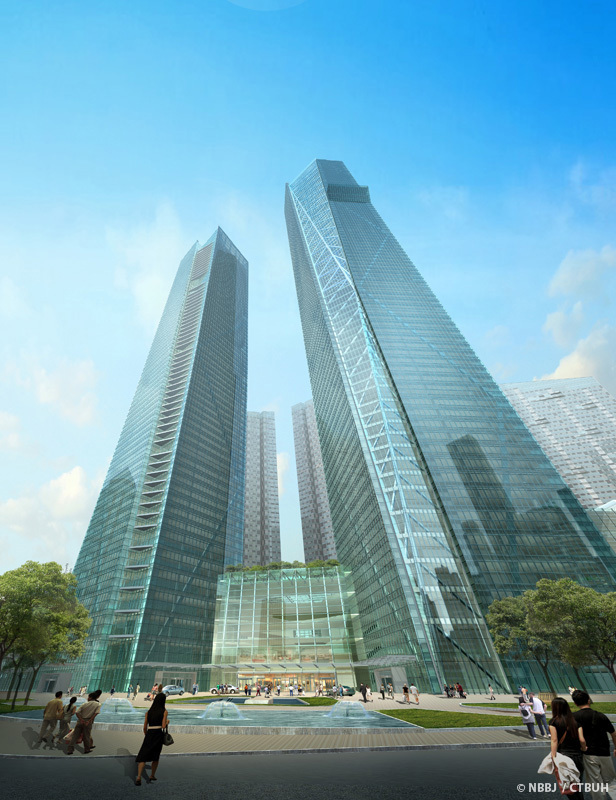 The tower shares a podium with Eton Place Dalian Tower 2, or Supertower Two, which is a high-end residential project offering serviced apartments and small office/home office (SOHO) accommodations. 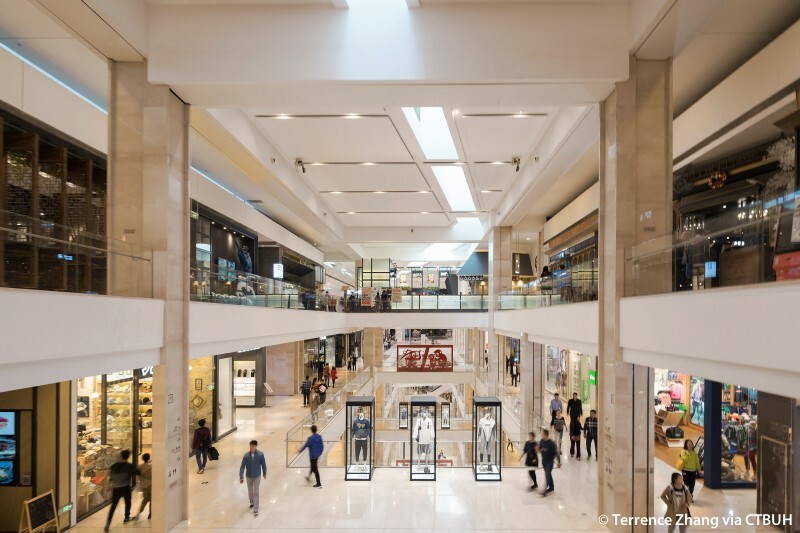 Dalian Center aims to set a new standard for luxury retail development for the city, with the goal of becoming the regional center of commercial activity. 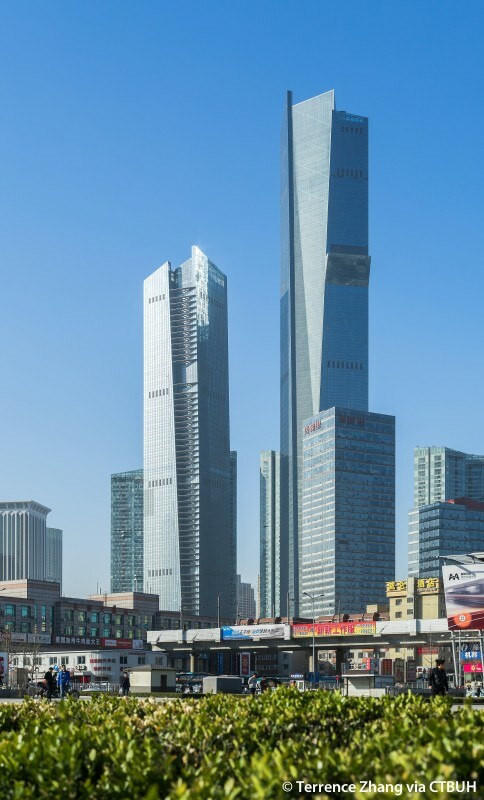 Designed for the human-scale, the tower provides a fresh, contemporary expression of the city’s commitment to environmental sensitivity and healthy urban living in China. 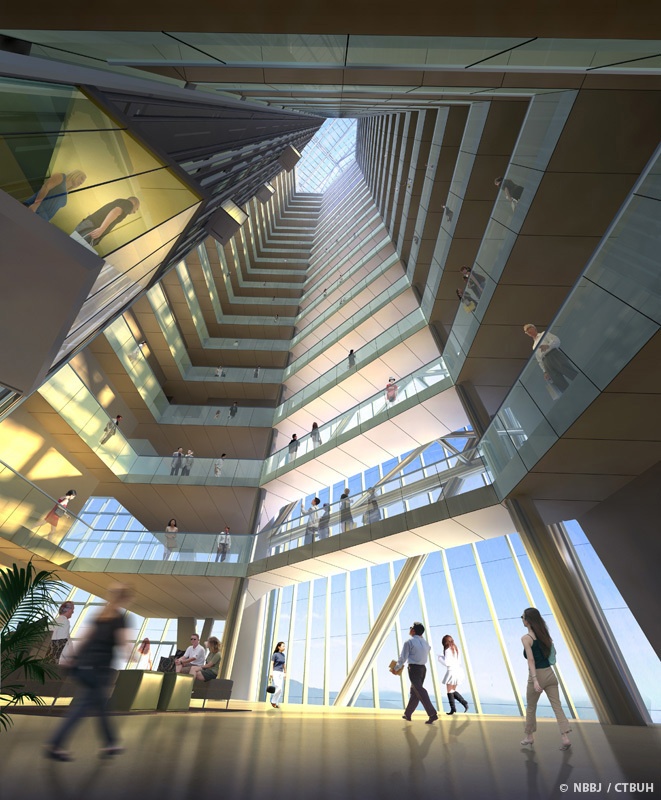 Public areas – sky lobbies, green spaces, meeting areas, observation decks, and other communal zones – are spread throughout the project on varying levels to create a lively, active vertical development that attracts a new generation of residents. 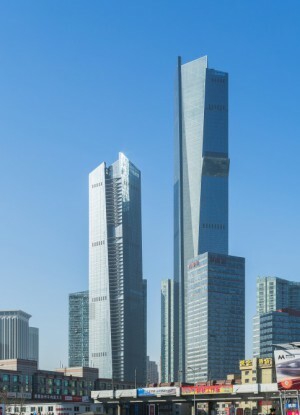 Functionally, Eton Place Dalian Tower 1 includes office floors, a five-star suite hotel with approximately 200 rooms, and the Eton Hotel with approximately 600 rooms. 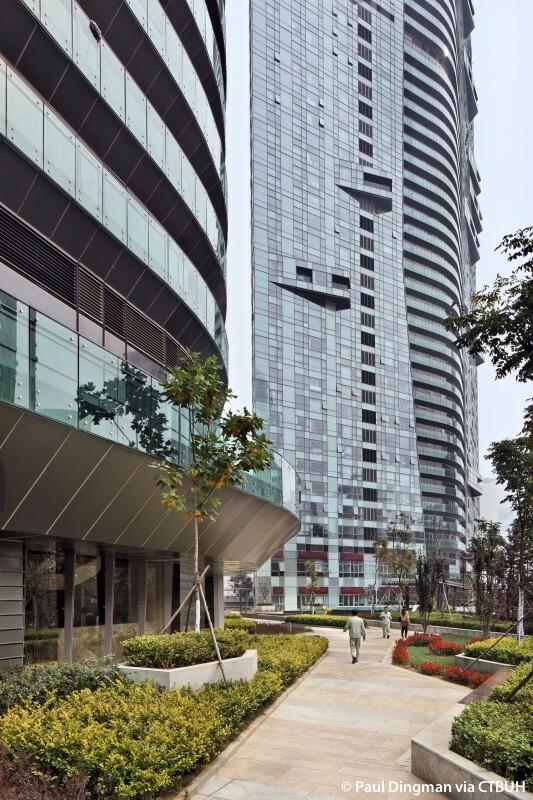 Amenities include two fitness centers with pools, restaurants, retail shops, and landscaped sky gardens that ascend upwards through the building. 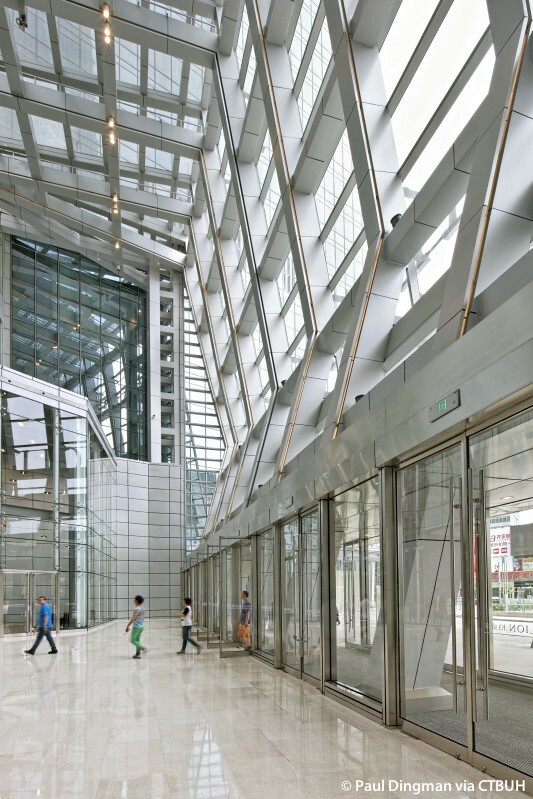 An efficient central core provides the office levels with multi-tenant layouts and maximum flexibility with its column-free floor area. 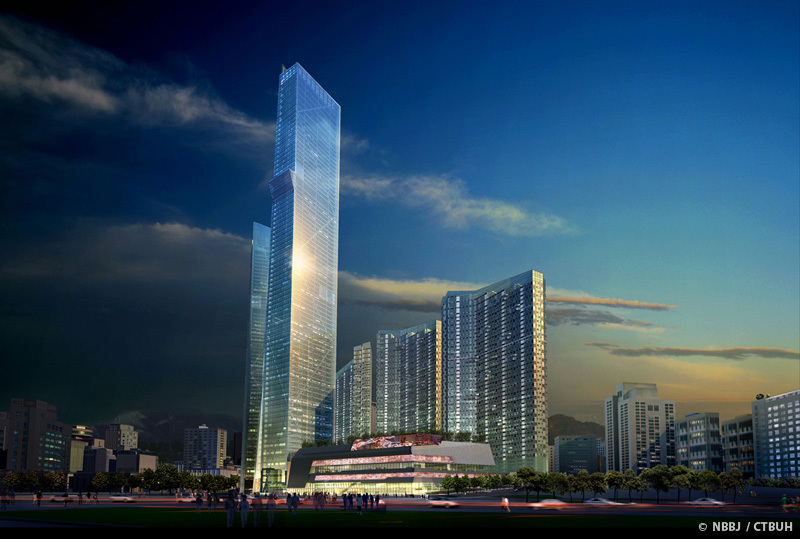 Rising above the podium, the tower offers tenants access directly into the shopping and entertainment complex.